Three pedestrians were killed by vehicles in Mojave in 2013, one of which was a 16-year-old girl crossing the road on her way to school. The Mojave Foundation worked with Kern County Roads and Southern California Edison to install a flashing cross-walk at this intersection, but we feel that the problem of pedestrian safety is systemic, and can only be solved with a comprehensive municipal investment in sidewalks and streetlights. 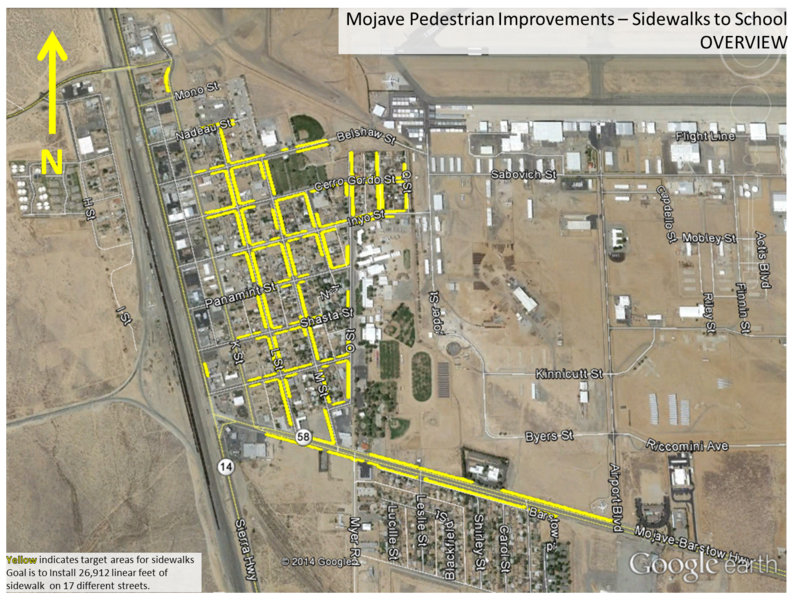 We are currently fundraising for a municipal lighting project, and we look forward to working with Kern County Roads to bring sidewalks to Mojave’s streets as rapidly as possible. To see the full grant The Mojave Foundation submitted to Kern County Roads, click here: Part-1, Part-2, Graphics. 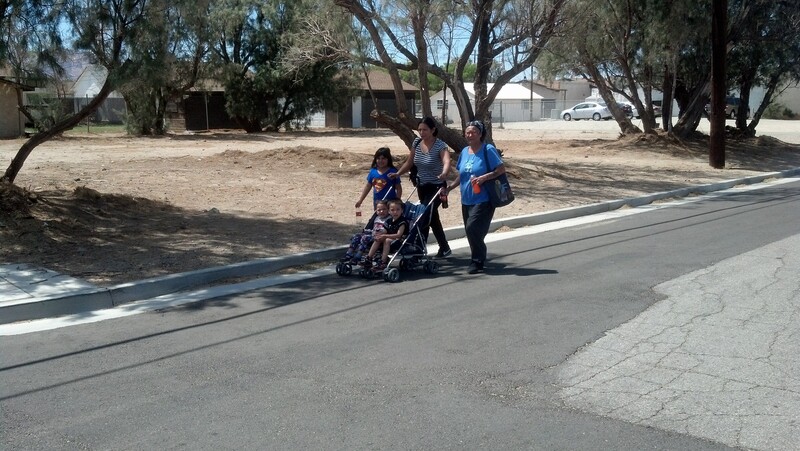 This entry was posted in CalTrans, Kern County Roads, Mojave CA, Sidewalks on August 29, 2014 by mojavefoundation.